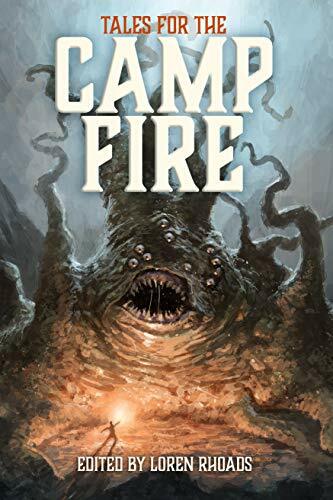 Horror authors across Northern California have come together to release Tales for the Camp Fire, a new anthology of short stories, to support wildfire relief efforts. All profits from the sale of the anthology will be donated to wildfire relief funds administered by the North Valley Community Foundation. On the morning of November 8th, 2018, the worst wildfire in the state’s history erupted in the foothills of Northern California. While emergency efforts were immediate, the Camp Fire burned for seventeen days before it was finally contained. It destroyed the town of Paradise and burned over 150,000 acres. At least 85 people died in the blaze. The impact of the fire was felt across the entire region as air quality became the worst in the world. The zombie genre, like all trends, waxes and wanes as excellent titles by talented people are drowned out by the cascading wave of others merely attempting to capitalize on the trend. It isn’t exactly difficult to understand why the undead find themselves coming and going through our collective consciousness, the themes and moods lend themselves to horrors and fears that have become all but ingrained into our very being. From the panic of diseases to the mutually assured annihilation of the species, the premise plays on the primal fears of the human experience. Into the Mist: Humans Are Tasty! In Lee Murray’s most recent novel, Into The Mist, we follow the exploits of Sergeant Taine McKenna’s squad of professional soldiers, responsible for the safety of the group of geologists and biologists sent out to follow up on tantalizing news of the discovery of a large gold nugget. The squad is assigned to baby-sit this group of civilian scientists as they wander into the bush in search of the site where the gold was discovered. To make matters more complicated, shadowy corporate entities are interfering with the expedition, hoping to get the jump on their competitors and claim the mineral rights for their own firm. Tuhoe separatist rebels make an appearance as well, and they show up at a most inopportune time as the scientists and soldiers are struggling for their very lives against not only the elements and the rough terrain of Te Urewera National Park, but also against something more sinister — and hungry: a creature that seems hell-bent on picking them off one by one, and that shows a level of unnatural patience and cunning in hunting them down. Many of the works of Edgar Allen Poe, while considered classics of literature today, don’t often match up with modern literary sensibilities. 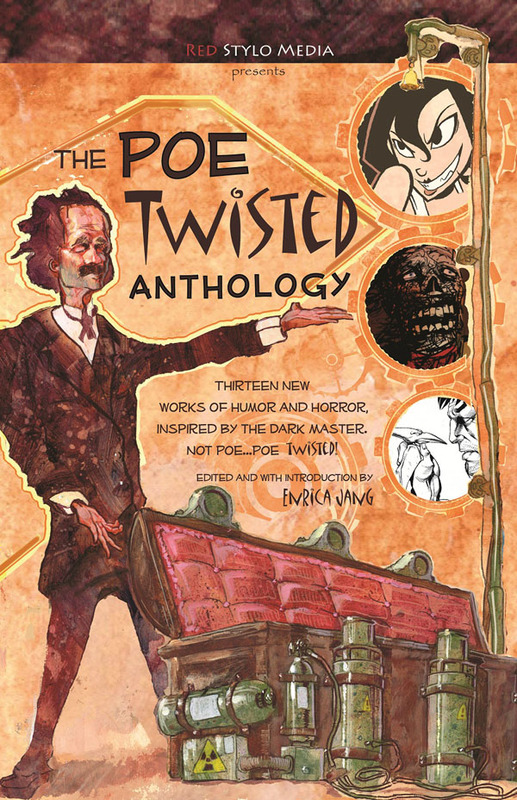 It was somewhat surprising for me then, to come across Red Stylo Media’s The Twisted Poe Anthology, an excellent collection of seven original tales inspired by the works of Poe. Published in 2011, this collection does not consist of adaptations — retellings of Poe stories — but rather, a brand new batch of original tales in the same spirit as Poe’s work. All of the individual stories are available as digital downloads for 99 cents each; I have added links to the descriptions of those stories for convenience’s sake. As a companion to Chronicles of Darkness: Dark Eras this anthology reveals secrets of the mystics, whispers rumors of the dead, and shines a light into the darkest corners of the world. This collection includes historical stories based within the shadowed past of Vampire: the Requiem, Mage: the Awakening, Werewolf: the Forsaken, Changeling: the Lost, and other Chronicles of Darkness settings. Every one of us is weak: mere ants against the stalking giants that have brought us to our knees. Even when we work together, the Unknown is bigger than us, better armed, and better prepared for what’s to come. We have no real advantage, and our greatest victories have been nothing but the monsters toying with us before they descend to feast. Our fight is hopeless. This is how we’re going to win. The uneasy feeling that creeps up your spine as you walk down a darkened hallway. The way your footsteps echo oddly on a deserted street at night, as though there was someone walking somewhere behind you. The shape you see out of the corner of your eye when you’re home alone. Thinking of running a game of Geist: the Sin-Eaters? Players unsure of what to play? Looking for a fast way to dive into a ghost story? Ready-Made Player Characters (Geist: the Sin-Eaters) includes the Crossroads Drifters krewe, who perform for the living and the dead. Characters designed to for instant use in your Geist: the Sin-Eaters game. Seattle is a fractured city, split between history and modernity. The Unchained can stumble through rifts in time and space and wind up decades in the past. Why Some failed experiment of the God-Machine? A side effect of human ingenuity? Or are the splinter timelines in the City of Flowers a deliberate design, leading up to something greater still? Splintered City: Seattle includes more detail on the alternate timelines described in Demon: The Descent, as well as a host of story hooks and characters for use in your chronicles. Also presented are brief suggestions on what Seattle might hold for the other denizens of the World of Darkness. Better Angels is a tabletop roleplaying game where you play a supervillain who got powers from being possessed by a demon — and you play the demon who’s possessing the supervillain of the player to your right. Better Angels was published in 2013 after a great Kickstarter campaign. A standalone adventure is available, too, plus a ton of free online resources. Now we have the first full-size campaign book for it: No Soul Left Behind. Growling Door Games, Inc. is proud to announce that they have entered into a licensing agreement with Martin Caron, the owner of the Chill RPG. The agreement gives Growling Door Games the English-language rights to publish the Chill RPG core book and supplementary materials for that game, setting the stage for a new release of a classic property that helped make horror gaming a staple of the RPG landscape. 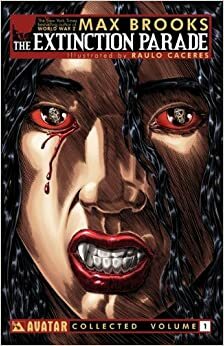 Max Brooks and Avatar Press have announced Legendary Television and Digital optioned the New York Times Bestselling Author Brooks’ Extinction Parade as an original property for development as a new television series. Brooks is closely tied to the development of the project and will be writing the Pilot episode. “I only brought the idea to one company, Legendary, because they do the kind of quality work of which any writer would be proud.” stated Brooks. “Max Brooks is a visionary with an incredible ability to tell stories that deliver a fresh approach to the horrors that haunt our nightmares. His work on Extinction Parade has been a stunningly rich tapestry of cultures in decline and a biting indictment of the perils of privilege. It will make the perfect television series to appeal to fans who have until now settled for thinly veiled soap operas parading as horror.” said William Christensen, Publisher of Avatar Press. Call for Excerpts: Promote your Novel! Since 2003, FlamesRising.com has supported first-time novelists and veteran authors through our interviews, reviews, and excerpts. Our chapter previews, which are hosted with permission, are one of the most popular features of our website. If you’re an author (or publisher) seeking an outlet to host your horror, dark fantasy, or dark science fiction excerpt, we invite you to join FlamesRising.com. Since we are a website, it’d would be helpful if you saved your excerpt in a format conducive to the web. To add your preview to this feature on our site, please review our Submission Guidelines and use the Contact Us page.